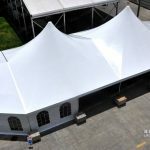 The High Peak Tent design is based on the party tent, new party tent, wedding tent, event tent, and gala tent. 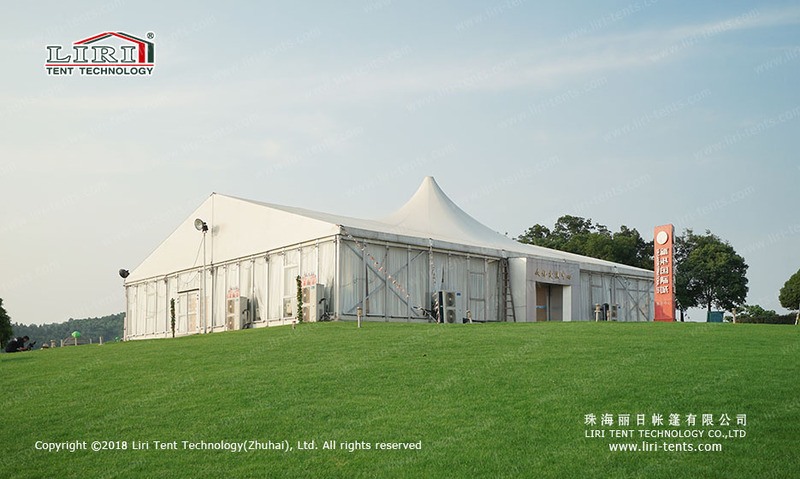 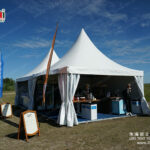 High Peak Tent is combined with a high peak and half polygon ends, and it is mostly used for high-class events. 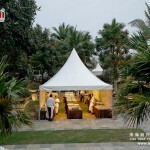 Widely used for the wedding, parties, events, celebration, festivals, catering, restaurant, hotel, dining, etc. 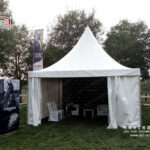 Main profile is 204x120x4mm, side height is 4m. 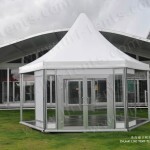 1) Frame struts: Hard pressed extruded aluminum 6061 /T6(15HW) which can last 15 to 25 years. 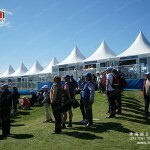 9) lighting, AC, carpet, etc.